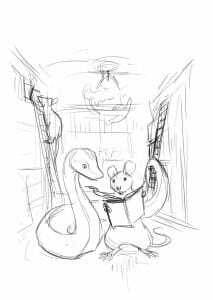 It’s time for school and going back to the university, so I am putting on a “Back to School” sale for my Python books. You can now buy my second and third books for 50% off on Leanpub. You can check out my first book, Python 101, in its entirety over on http://python101.pythonlibrary.org/ if you need a sample of my writing style. Leanpub also has samples of both of those books that you can download as a PDF. Feel free to ask questions in the comments or ping me via the contact form. After making my first book, Python 101, freely available, I have been investigating the best way to make its contents available online as well. Since I write all my books in RestructuredText, I had a few options. I ended up going with Sphinx for now, but I may end up switching to something else in the future. 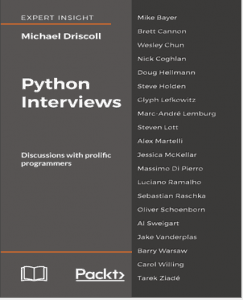 My second book, Python 201: Intermediate Python, was just released as an online course over at Educative. 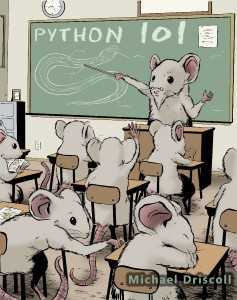 I also have Python 101 on there as well. Educative is a pretty new educational website. It’s kind of like Code Academy except that they usually charge for access to all their courses. Note: This is NOT a video course! Anyway, they were kind enough to provide me with a 50% off coupon to share with anyone on Reddit. Here it is: au-py201-50. Note: This coupon code is only good for 1 week. I always put a lot of thought into the covers of my book. For my first book on wxPython, I thought it would be fun to do a cookbook because I already had a lot of recipes on my blog. So I went with the idea of doing a cookbook. 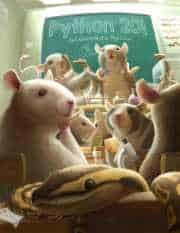 For the cover, my first thought was to have some kind of kitchen scene with mice cooks. 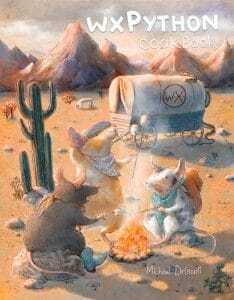 Then I decided that was too obvious and decided to go with the idea of an Old West cover with cowboy (or cow mice) cooking at a fire. My name is Liza Tretyakova, I’m a free-lance illustrator currently working in Moscow. I work as an illustrator for about 10 years. I love horses and I used to have a horse. Also I’m interested in archery. I like reading and spending a lot of time with my daughter Yara, who is 7 years old. What motivated you to be an illustrator versus some other profession? Since I was a child I have been drawing all the time and it just happened that I started to work as an illustrator, it turned into a profession. What process do you go through when you are creating a new piece of art? Do you have any advice for someone who wants to be an illustrator? You should try to draw every day, the more the better. 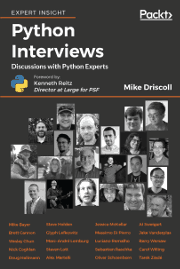 Thanks so much for doing the interview and for agreeing to be my illustrator for my wxPython Cookbook. You can see more of Liza’s work on Behance. 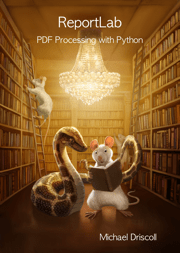 wxPython Cookbook is Officially Released! 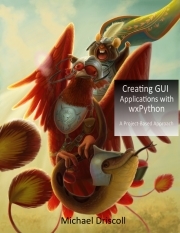 I recently finished up Mmy third book, wxPython Cookbook and I am officially releasing it today. 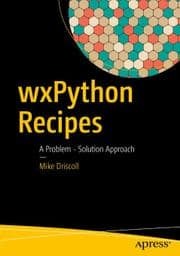 My wxPython Cookbook is my longest book yet, clocking in at over 340 pages and over 50 recipes. I have a full table of contents on Leanpub for anyone who is interested in the nitty gritty details. Thanks so much to all my readers and Kickstarter backers who have encouraged me throughout the writing process. It’s the holiday season so I am putting all my books on sale starting today. The sale will run through December 23rd. You can purchase any of my books for $6.99 on Gumroad or Leanpub. I’m actually recommending Leanpub now as I find its user interface much easier to navigate for my readers, but if you already have a Gumroad account, then feel free to use that. You will receive the books in PDF, mobi and epub from both Leanpub and Gumroad. 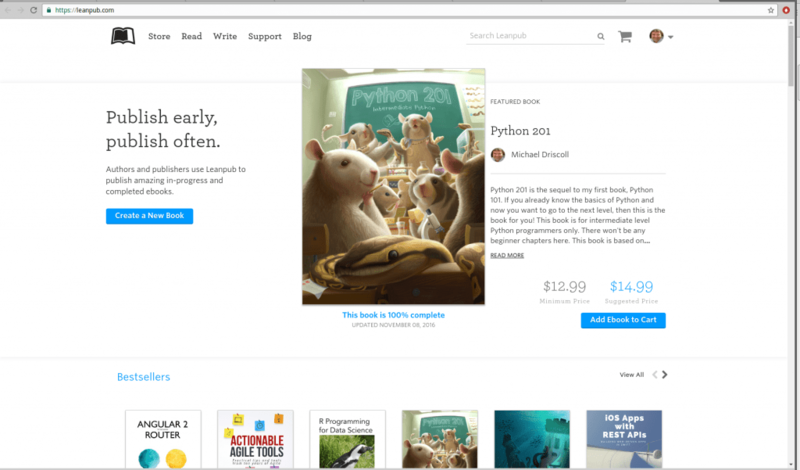 I have 10 more copies of the first run of Python 201: Intermediate Python that you can now purchase. You will also receive the digital versions of the book. Note that the first run had a mistake in the asyncio chapter that has been rectified in the digital copies. The future versions of the paperback will be fixed soon.